Many years ago, in old Siam, Run-Run's mother was killed by a vicious tiger, leaving him all alone. Alone, that is, except for Walking Mountain, his enormous elephant who had been his father's and his father's before him. Walking Mountain worked hard and kept Run-Run safe. Safe, that is, until the day he accidently insulted a very unpleasant prince by drenching him with river water and decorating his clothes with little fish! Oh, the ripples that splash caused! Oh, the curse it brought upon Run-Run! The prince gave Run-Run a gift that was intended to be a curse, one that would destroy his life. Indeed, the gift did change Run-Run's life. But, can the clever elephant boy turn a curse into a blessing? Will he ever realize his dream? 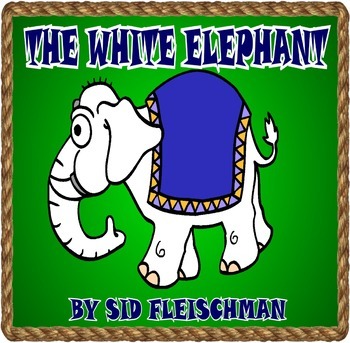 In this story, Sid Fleischman works his unique magic into his words through vivid description, figurative language, and a story filled with compassion and perseverance. Wide-spaced lines and short chapters invite even younger readers to step into this story, ride along with Run-Run, and once again, find themselves transformed into another place (India) and another time. 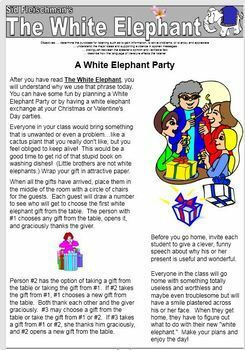 The Kids Wings unit for The White Elephant was written by Suzy Red and comes to you in PowerPoint and PDF formats for excellence in printing and projection. Fifty dancing elephants dressed in tutus, fifty dancing girls performing to "The Circus Polka". With 425 performances in 104 cities, "Ballet of the Elephants" became a reality. In 1942, the lives of three talented men with big ideas came together in an unlikely partnership when, together, they created the biggest circus extravaganza in history. John Ringling North, owner of the circus, thought up the wild idea. He invited Igor Stravinsky to compose the music and George Balanchine to choreograph the dance. 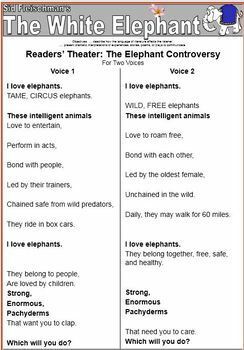 The result..."The Ballet of the Elephants." 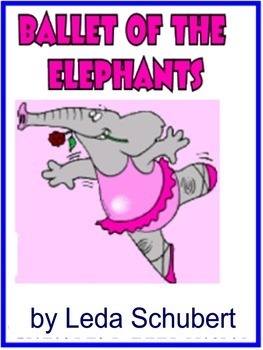 Today, the dance continues in Leda Schubert''s picture book, Ballet of the Elephants.